JW-Marriott Hotel's chefs are passionate about food. 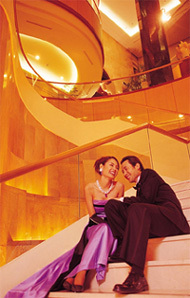 Its customers are asked to come and join the hotel for a celebration of its aphrodisiac cuisine at the JW’s Grill during the month of February, 2004. What are Aphrodisiac foods? 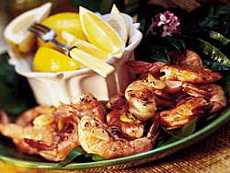 Aphrodisiac foods are those which are known to stimulate or enhance sexual desire. The word “aphrodisiac” comes from the Greek Goddess of Love and Desire, Aphrodite. Aphrodisiac foods are known to have existed long before the days of St. Valentine and their history can be traced back as far as the beginning of time itself when Eve offered Adam the “forbidden fruit,”the apple. In honor of St. Valentine, the Patron Saint of Lovers, the JW-Marriott’s Grill offers a special aphrodisiac menu for the entire month of February. Its chefs have studied the history of aphrodisiac cuisine and its ingredients and have prepared some sensational menus for the customers to share with someone special in life. For appetizers, to start a romantic evening JW-Marriott’s Grill serves Buttermilk Fried Oysters with Avocado and Tomato Concasse, with Honey-Chipotle sauce and chili oil; Broiled Oysters with Chili marinade, fresh oysters marinated with soy sauce, Mirin wine, honey, lime juice and Coriander drizzled with chili oil; Honey-Lacquered Foie Gras with caramelized apples on brioche French toast, Sauternes wine and Honey demi glace; Lobster and Asparagus Risotto with Parmesan Frico and Asparagus jus; and fresh Oysters on the half shell with Ponzu, Wasabi dipping sauces and pickled ginger. Prices range from 18,000 to 22,000 won. The tempting soups are Sweet Corn and Clam Chowder, chopped clams, celery, onions and potatoes in white wine broth; Cream of Asparagus Soup, with Alaskan King Crab, shrimp and tomato salsa; and Shellfish Bouillabaise with ginger Aioli. Prices are between 10,000 and 14,000 won. The salads available are Grilled Shrimp and Avocado Salad, with citrus and avocado dressing; Foie Gras and Lobster Salad, with fresh field greens, raspberry and basil Vinaigrette; Asparagus and Lobster Salad, with herb emulsion and basil oil; Artichoke and King Crab Salad, with tomatoes, beans, basil oil and Dijon vinaigrette. Prices range from 18,000 to 22,000 won. The main courses for the Aphrodisiac Menu at JW’s Grill are Roasted Rosemary Rack of Lamb, with artichoke mashed potatoes, black truffles and seasonal fresh vegetables; Cranberry-Lacquered fresh North Atlantic Lobster; with artichoke mashed potatoes and seasonal fresh vegetables; Porcini dusted Halibut, with Shiitake mushrooms, asparagus puree and lobster emulsion; Apple and Chestnut Lacquered Pork Loin, with roasted potatoes, onions and figs; and Beef Wellington with Oyster Dressing, grilled beef tenderloin steak with oyster Duxelles wrapped in puff pastry with oyster demi glace sauce, black truffle mashed potatoes and seasonal fresh vegetables. They are available for 42,000 or 52,000 won. The Aphrodisiac desserts are Chocolate Passion, a chocolate truffle cake topped with chocolate Jack Daniel’s ice cream and fresh strawberries; Cantaloupe and Honey Parfait, with honeydew Coulis; Fresh Strawberries Romanoff, fresh strawberries glaced with Grand Marnier layered with chantilly creme; and Chocolate and Banana Tart, with vanilla ice cream. They are selling at 10,000 or 12,000 won. 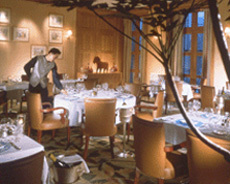 The JW-Marriott’s Grill also offers special aphrodisiac set menus, “Be My Valentine”and “The Feast of Aphrodite.” "Be My Valentine” includes Oysters JW Bienville topped with crabmeat, sauteed in onions, garlic and white wine topped with Veloute sauce and melted parmesan cheese; Cream of Asparagus Soup, with shrimp and prosciutto cracklings; Foie Gras and Lobster Salad with fresh field greens, raspberry and basil Vinaigrette; Grilled ChateauBriand, grilled tenderloin of beef with sauce Bernaise with chateau potatoes and seasonal fresh vegetables; and Tiramisu with Kahlua, chocolate sauce and fresh berries. They are available for 79,000 won. “The Feast of Aphrodite”has Oysters Maras, fresh oysters sauteed with garlic, mustard, Tarragon, basil and white wine; New England Clam Chowder, chopped clams, celery, onions and potatoes in a rich creamy broth; Alaskan King Crab Salad, with Romaine and Iceberg lettuce, plum tomatoes, avocado and egg slices with creamy champagne and caviar dressing; grilled Chateau-Briand, grilled tenderloin of beef with sauce Bernaise and JW’s Grilled Maine Lobster, with sauce Hollandaise and seasonal fresh vegetables; and Fresh Strawberries Zabaglione, fresh strawberries laced with Grand Marnier topped with Zabaglione gratinee. They are served for 94,000 won.